However, the Gurkha bicentenary is different from most such events for another reason. Regimental traditions celebrate the past and so stress continuity, but Gurkha service is about adaptation to change. Britain recruited Gurkhas in 1815 to ensure that they did not fight for Nepal, with which the East India Company was then at war. Their loyalty when the Company’s forces mutinied in 1857 made them central to British rule, and their tactical skills policed India’s northern hills. They were part of the Indian – not the British – Army, and when India secured its independence in 1947 many expected them to continue to soldier for India. That was logical. Nepal was officially Hindu, and so it made religious sense. Also, by serving in India, Nepalis could easily return home on leave. In the event, six of the 10 Gurkha regiments transferred to the Indian Army. Four regiments came to Britain. 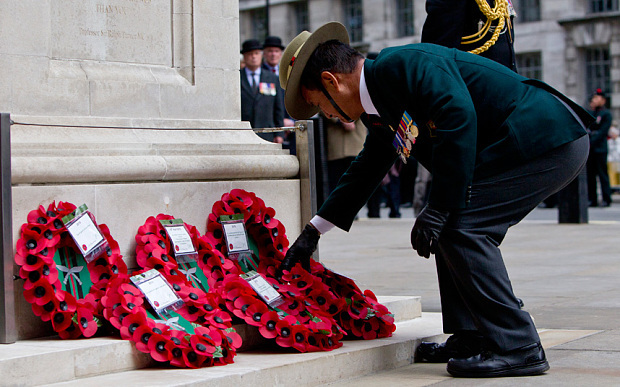 By serving in all the major theatres of the two world wars, Gurkhas proved their flexibility. Nepal had responded to Britain’s demands for men, 90,000 serving in 1914-18 and 138,000 in 1939-45. Britain still conscripted its army, and so raw numbers mattered less to the case for retaining Gurkhas than their comparative cheapness. Senior British officers argued that they would provide a strategic reserve for use in south-east Asia. From 1948 until 1967 that meant Malaya and Borneo. In 1967 the Labour government decided to withdraw from east of Suez. The Gurkhas were never deployed in Northern Ireland, and in 1982 John Nott, the Defence Secretary and himself a former Gurkha officer, proved reluctant to send them to the Falklands. With the handover of Hong Kong in 1997, the strategic rationale for the Gurkhas seemed to have gone. Their reputation as jungle warriors was redundant. Today it is Brunei, which pays for one of the two infantry battalions in the Brigade of Gurkhas, that keeps those skills alive. Yet within six years the British army was again east of Suez. The Gurkhas have been back in Iraq, where they served in both world wars, and in Afghanistan, and only last week they were formally incorporated into 16 Air Assault Brigade, Britain’s rapid reaction force. Gurkha units and sub-units, not only infantry but also engineers, signallers and logisticians, completed 34 tours in Afghanistan. Nepalis relate to a poor country in the Himalayan foothills, and they adapt to local circumstances, not just in Helmand. If the future of conflict is going be shaped by “wars among the people”, these are vital skills. Here too we should stress change, not continuity. The Gurkha of the past was a hillman. He was physically strong, emotionally resilient, cheerful in adversity, but often illiterate. The latter is no longer true. Many recruits today come from the city of Kathmandu, rather than from the hills. To be considered for selection, they must be competent in English. Recruits have the technical skills appropriate to 21st-century warfare. About 7,000 apply each year for about 200 places: the rest of the army would love to boast that level of competition. The British officer has changed too. They immerse themselves more fully in Nepali culture than their pre-1947 predecessors. 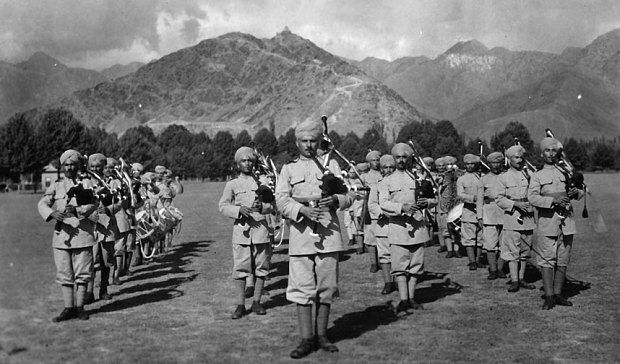 British officers in the Indian Army learned Urdu before they learnt Nepali and rarely went to Nepal. After 1947 Britain had to set up its own recruiting operation in Nepal, giving its officers much more intimate contact with the country and its culture. 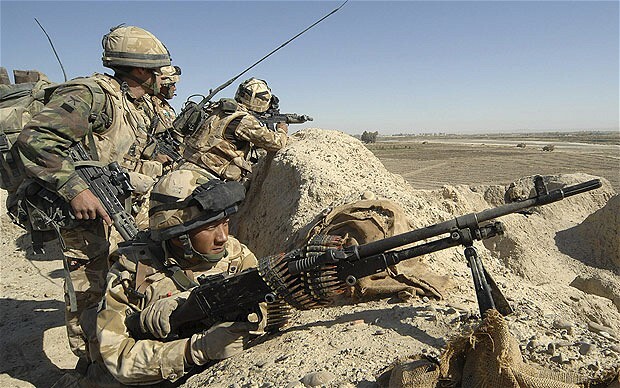 Before the 2010 defence review, Patrick Mercer argued that because the Gurkhas now got the same pay and pensions as British soldiers they were no longer a cheap option, and that they should go before any British regiments. But the case for the Gurkhas today is no longer about cost, but about effectiveness. They recruit and retain better than most regiments. Furthermore, talk of cuts crowds out the possibility of having to expand the army once more. That looks more probable in 2015 than the complacency of 2010 suggested. Gurkhas could quickly respond to that demand. Through the Gurkha Welfare Trust, and the support it receives from the Department for International Development, Britain contributes not only to the support of Gurkha pensioners, but to the development of their communities and for the longer term. So this is a two-way relationship. The fact that it has reached its 200th birthday is the product more of accident than of design. We could not recreate it if we were ever foolish enough to dismantle it. Hew Strachan is a military historian who presented ‘Ayo Gorkhali: The Gurkhas are Coming!’ on BBC Radio 4. Listen to it on iPlayer here.